The transition to a sustainable world requires the participation of world leaders and private-sector organizations, the coverage of international media on this subject, and more importantly inspirations that encourage individual world citizens to use their true hearts to combine their power with those willing to take actions in this undertaking. This advancement greatly relies on igniting every individual's will of benevolence, which is the driving force to move the whole human society forward. Today the world is confronted by more daunting challenges than before, such as violent conflicts, wars, poverty, diseases, hunger, global instability, climate change, etc. Global problems request global solutions, which compel all nations to unite in action for the common good of the world, and to work closely on programs and projects that would benefit all. 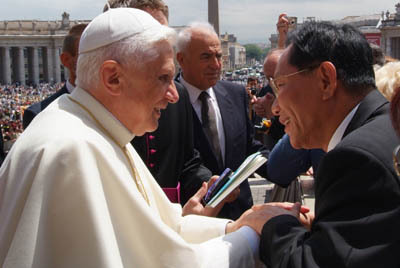 Dr. Hong, Tao-Tze met His Holiness Pope Benedict XVI expressing "Peace needs love, and love needs to be balanced" in st. Peter square in Italy, June 2005. 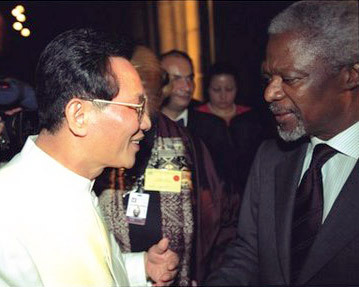 Dr. Hong, Tao-Tze and Kofi Annan, former Secretary-General of the U.N, met at the NGO Welcome Party in New York. 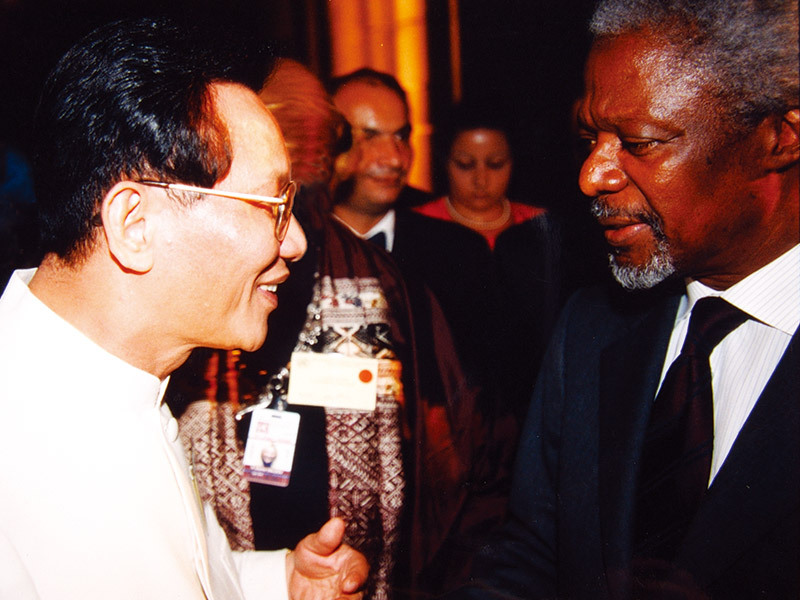 During these past many years, bearing "Love of the World, A Wish for Peace", Dr. Hong has gathered countless people with similar ideals to promote a wish for peace without boundaries to the world through international cultural goodwill activities. 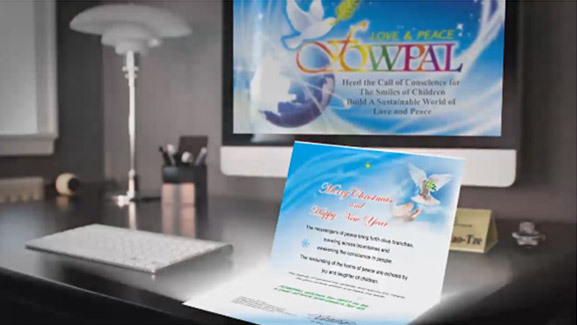 To be more efficient, Dr. Hong established the Federation of World Peace and Love (FOWPAL) in America, and is the president of the organization. 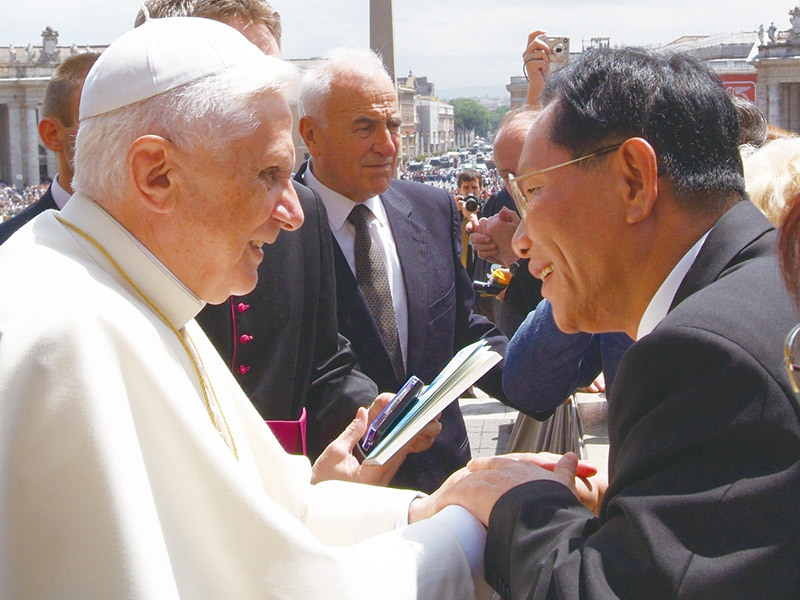 He hopes to inspire people of the world to carry out the concept of "Love of the World, A Wish for Peace." 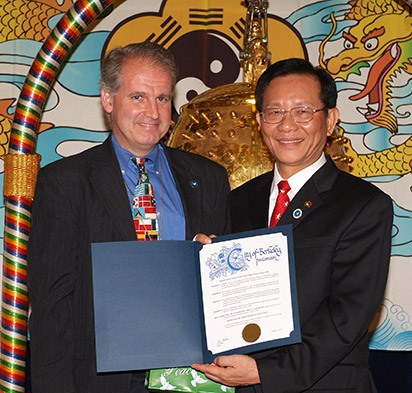 Mr. Bill Jones, California Secretary of State, awarded Dr. Hong a special certificate for his visit and efforts in leading "Love of the World, Cultural Goodwill Group of Peace" in promoting traditional culture and improving people's health of the body and mind. The certificate also represents friendship and sincere wishes from California. Both Tai Ji Men Qigong Academy and FOWPAL have received positive feedback from around the world. 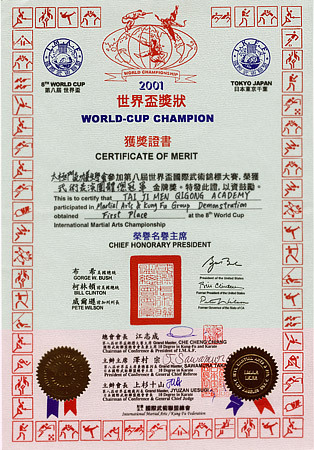 They obtained First Place in Martial Arts and Kung Fu Group Demonstration, and World Top Outstanding Performance Golden Award at the 8th World Cup International Martial Arts Championship. The above best expresses the combination of Chinese traditional martial arts and a culture of peace. 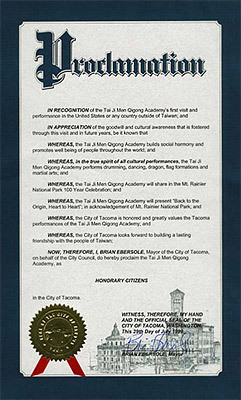 Mayor Anthony A. Williams of the District of Columbia proclaimed March 22, 2000 , as the Tai Ji Men Qigong Academy Day in Washington , D.C. and praised Tai Ji Men as International Ambassadors of Goodwill and Peace. 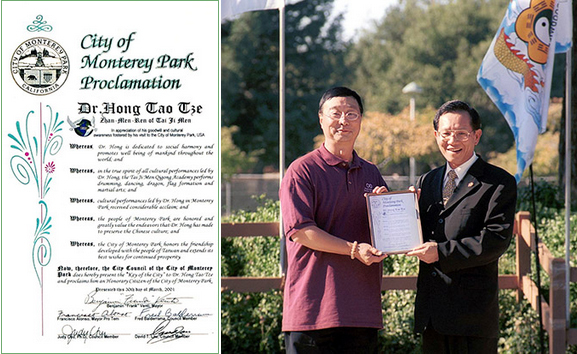 A representative of the Mayor presented the certificate to Dr. Hong. 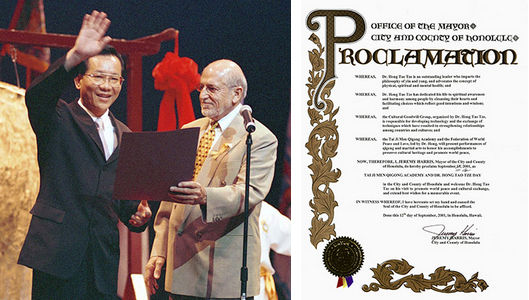 Mayor Tom Bates of the City of Berkeley proclaimed August 5, 2005, as the Federation of World Peace and Love Day in the city of Berkeley, in recognition of Dr. Hong's great devotion to leading FOWPAL to promote peace and love for all humanity. 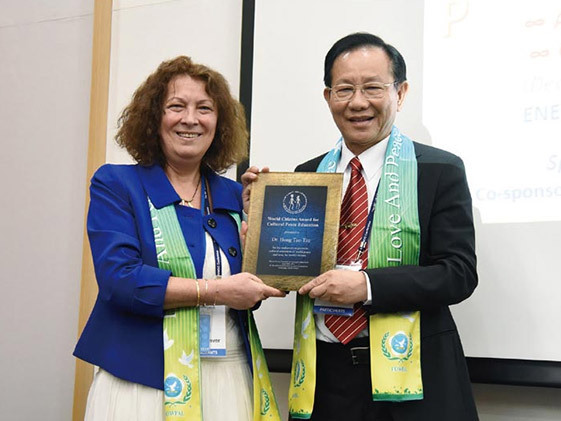 A representative of the Mayor presented the Certificate to Dr. Hong. 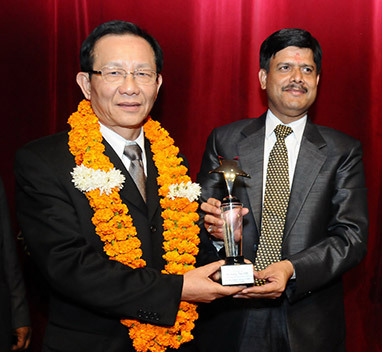 On December 10, 2010, Hon'ble Mr. Nakul Dubey, Minister for Urban Development and Environment, Government of Uttar Pradesh, India, presents Dr. Hong the Mahatma Gandhi Award for his promoting global understanding during the 11th International Conference of Chief Justices of the World. 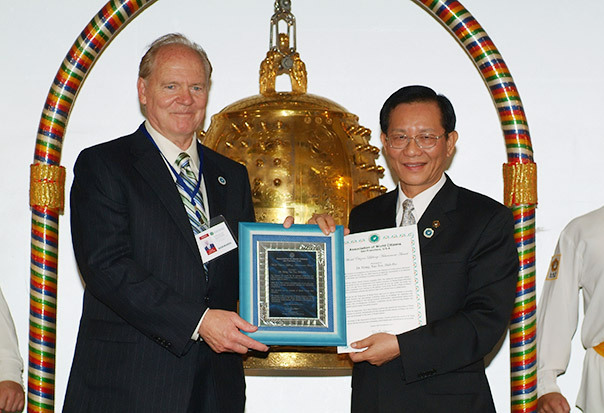 In 2015, Allan Jay Friedman, president of World Movie Institute, presented the Humanitarianism Award to Dr. Hong, Tao Tze in recognition of his lifetime endeavors in promoting world love and peace and the great achievements of the movement of An Era of Conscience in awakening love for humanity and inspiring efforts for peace. During the 66th UN DPI/NGO Conference, Dr. Hong, Tao-Tze was invited to deliver a speech at a United Nations forum titled “Vision for a Universal Education Protocol” on May 30, 2016. 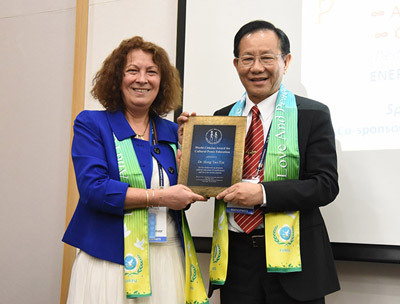 Bircan Ünver, the moderator of the forum and Founding President of The Light Millennium, presented the “World Citizens Award for Cultural Peace Education” to Dr. Hong in recognition of his contributions to promoting universal love, a culture of peace, and education for global citizenship. 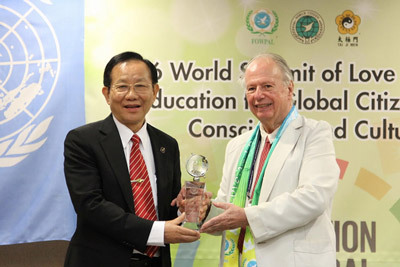 At the 2016 World Summit of Love and Peace, attended by NGO delegates from 40 nations, Dr. Rene Wadlow, President of the Association of World Citizens, NGO in consultative status with ECOSOC and associated with the UN DPI, presented the “World Citizens Award for Sustainable Development ” to Dr. Hong in recognition of his extraordinary contributions in leading the Tai Ji Men Cultural Goodwill Group to promote love, peace, and global sustainability across the planet. 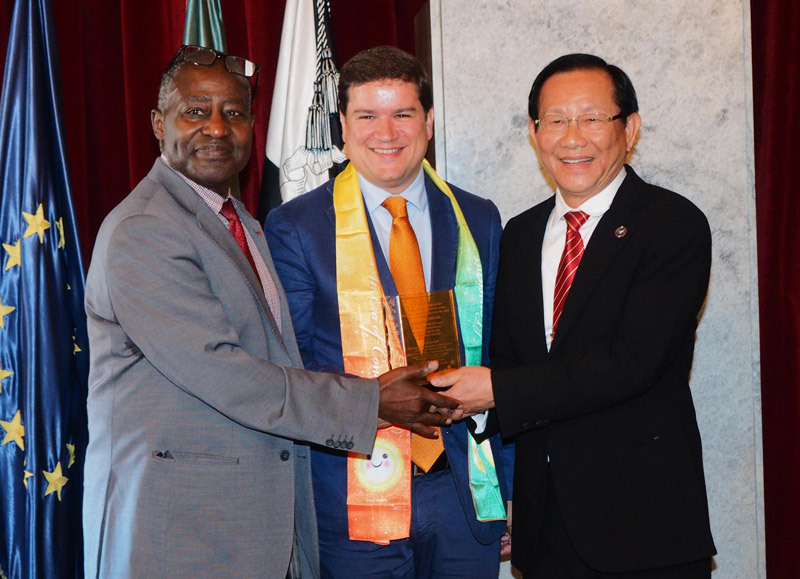 Dr. Hong, Tao-Tze was presented an award, "The Lighthouse of Wisdom, the Master of the Soul", by Mr. Albert Konan Koffi, president of the Observation International Pour La Non Violence. 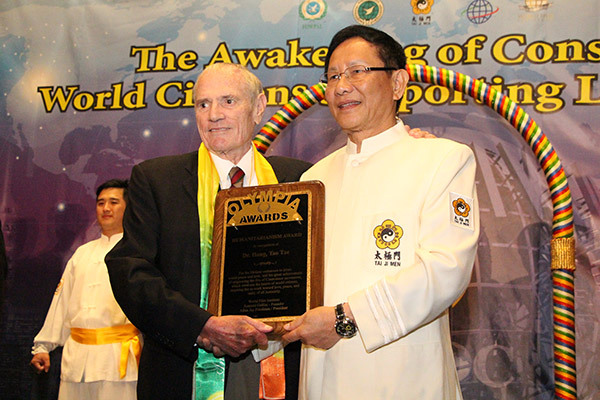 The award recognizes Dr. Hong's devotion to lighting up the world and guiding the spiritual light with generosity. In 2017, FOWPAL was invited to the annual reception of the Flame of Peace held in the city hall of Vienna. 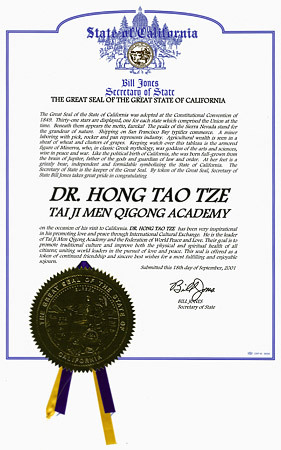 Dr. Hong, Tao-Tze was awarded the "Medal of Merit in Gold" by H.I.R.H. 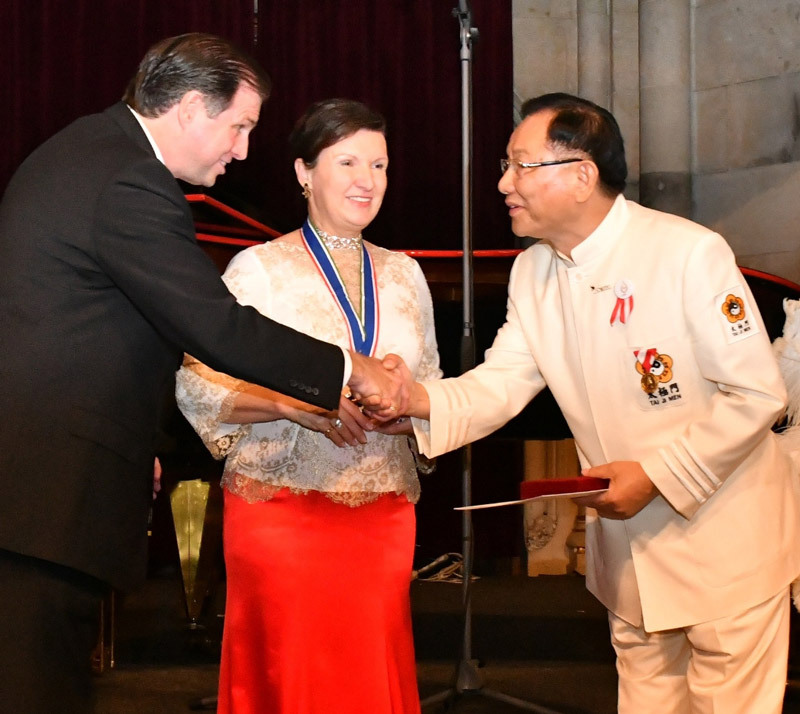 Herta Margarete Habsburg-Lothringen, president of Flame of Peace, in recognition of his leading FOWPAL members to visit 75 nations, bringing people closer and fostering love and peace across the planet through its unique and excellent cultural exchanges.